Despite his diminutive size, Barry Chuckle was one of the titans of children’s television over the last three decades. 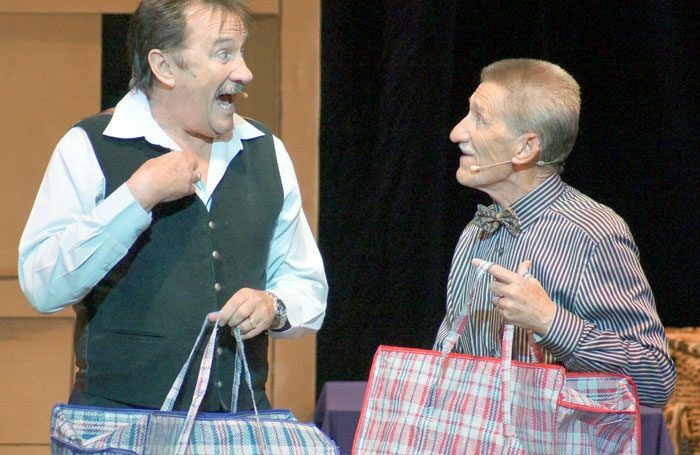 As one half of the comedy duo the Chuckle Brothers with his brother Paul, the pair attracted a large and loyal following from an audience that ranged from preschoolers to pensioners. The son of popular post-war northern comic Gene Patton and dancer Amy Frances Elliott, he followed his parents into showbusiness, initially as part of a comedy troupe featuring his siblings Jimmy and Brian (who later saw success as the Patton Brothers) and Paul. 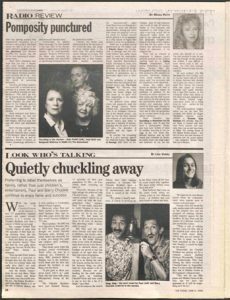 The promise of fame came early with success as The Chuckles in television talent shows Opportunity Knocks in 1967 and New Faces in 1974, but failed to materialise. Billing themselves as “Britain’s answer to the Marx Brothers”, their act was rooted in an earlier age of entertainment that initially seemed an ill-fit for the small screen. Their breakthrough eventually came as the warm-up act for a show by ventriloquist Ward Allen at the Tameside Theatre, Ashton-under-Lyne – ironically they had considered not going on that night when they discovered only 28 seats had been sold. Spotted by BBC producers, they were given their own Saturday morning children’s television show as the Chucklehounds in 1987. The following year’s ChuckleVision cemented their fame. A hugely popular show of silly but slick knockabout comedy, it ran for 292 episodes until 2009, earned them a BAFTA children’s special award and had recently been revived as Chuckle Time by Channel 5. It memorably spawned their enduring catchphrase, “To me, to you” (which was also the title of their television gameshow from 1996-98). Summer seasons, touring shows and more than 40 pantomime appearances duly followed, with The Stage noting in 1995 that the brothers’ act had been “seemingly cryogenically frozen just before the demise of the music hall and now thawed out for a prepubescent television generation”. 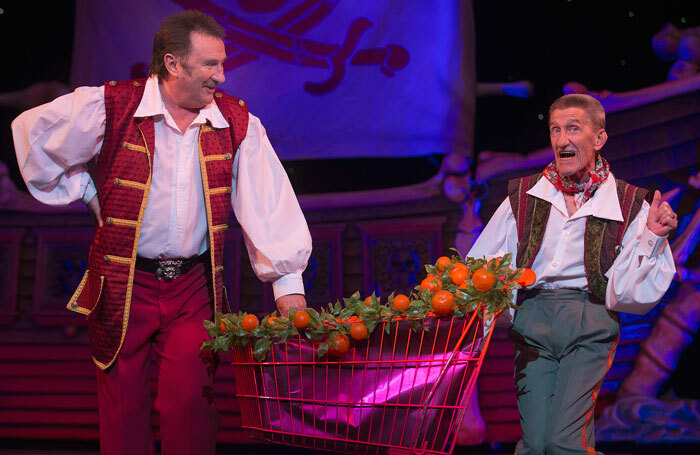 Earlier this year, they were voted best double act in the Great British Pantomime Awards for their appearance last season in Snow White at the Mayflower Theatre, Southampton. Describing themselves as “family entertainers”, their zany, childlike innocence and gleeful ability to create chaos out of the simplest situations and routines crossed age barriers with an ease that disguised their meticulous stagecraft. The formula was repeated on stage in a number of touring shows over the years including Dr What and the Return of the Garlics (2006), Spooky Goings On (2007) and Barry Potter and his Full Blood Brother Paul in the Ghostly Shadows (2011). They made their final Royal Variety Performance appearance at the Hammersmith Apollo in 2016. In 2013, Barry appeared alongside David Jason in an episode of BBC sitcom Still Open All Hours and in a 2018 episode, together with brother Paul, of ITV comedy Benidorm. Barry Chuckle was born Barry David Elliott on December 24, 1944, and died on August 5, aged 73. He is survived by his wife, Ann, and brothers.